As we grow and change, so does our taste and style preferences. There usually comes a point where we feel like the style we have embodied for the last 10 years no longer feels like us. If this sounds like you then read on for some image consultant tips on your style evolution? There are a few courageous individuals who embark on a complete style overhaul, and change everything in their wardrobe within a couple of hours and come out the other side looking immaculate. Then there are the rest of us. The ones who feel anxious about change, about looking different and about having to talk about themselves in a personal way, as style is personal. So what are the options you have in taking tentative steps towards a change in your image? The good news is style does not need to happen overnight. All good things take time. It can take weeks, or even months to find and develop a new style that embodies you for right now. The key is to focus on discarding items that you no longer wear or feel comfortable in and slowly add in some newer basic items that suit and flatter you. Giving your wardrobe a good detox will allow you to see past the pieces you haven't worn for years, that no longer fit you, that have holes in them or you have just plain forgotten about! Starting from scratch can give you a sense of relief and excitement at the thought of creating a whole new wardrobe - and a whole new you! To learn more about the type of style you want, I suggest starting a pinterest board every season for the styles, looks, images and items you are drawn towards. Keeping upto date with trends and styles will ensure that you will allow yourself have a contemporary and stylish look. If you are unsure about how to put items together or how to accessorize, finding inspiration from your style icons could help your create modern and and stylish outfits. 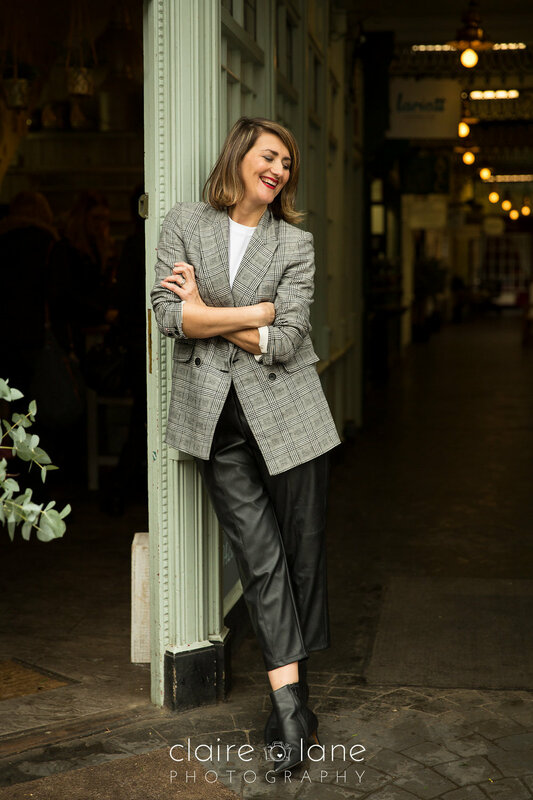 From this you will then be able to create a 'shopping list' of items that you want/need and must-have in your wardrobe to help you become the modern stylish woman you want to be. When going shopping, the best advice I can give is to save items in your shopping bag as you go along. Don't knee jerk and buy things that you think you need, take your time over spending your money - set yourself a budget. Refer back to your wardrobe, refer back to your pinterest board, refer back to your shopping list at all times to ensure you don't make new mistakes that are just replacing the old ones. If all of the above still scares you and you still don't know where to start then I am here to help. My job is to take the pain and frustration away of not knowing what to wear. I will work with you to create the perfect style that suits your personality, lifestyle and budget AND is easy to maintain. By showing you how to dress in a way that flatters your body shape and introduce you to stores that are perfect for you, not only will you avoid those expensive mistakes you've made in the past, but you will have an image that reflects the woman you want to be. I can also show you how to build on your existing wardrobe to create new outfits that you will look and feel amazing in. Never again will you utter those words “I've nothing to wear”! Style and fashion are ageless, and they evolve with you. If you have lost your style and need some help getting back on track and then contact me now for a personal styling consultation. Follow me on pinterest and instagram for regular style updates.